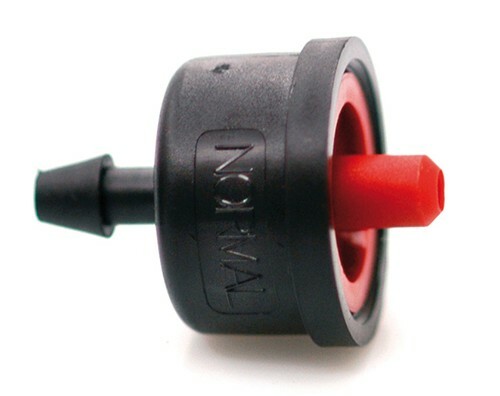 iDrop Normal is suitable for orchards, vineyards, nurseries, greenhouses and wherever a precise flow rate is required. With a uniform flow rate of between 6 and 50 mWC, the iDrop PC – PCDS is ideal for systems with long lines and steep slopes. 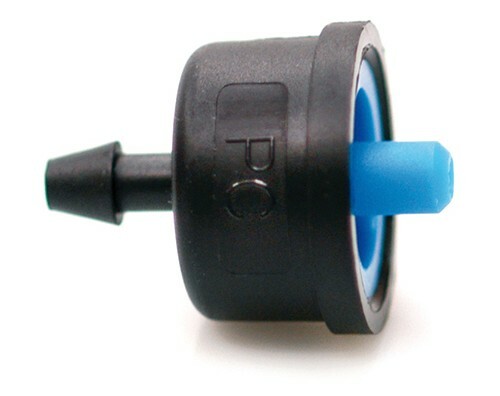 Suitable for orchards, vineyards, nurseries, greenhouses and wherever a precise flow rate is required. Turbulent flow prevents sedimentation and clogging. Made of state-of-the-art technopolymers which guarantee durability and increased resistance to commonly used chemicals and fertilisers. Flow rate is identified by the colour of the outlet base. 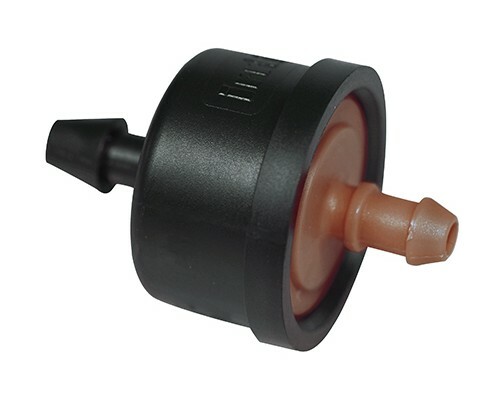 The multi-function outlet is suitable for connection to microtubes (4 mm. inner diameter) and multi-outlet manifold (1, 2, 4 and multiple). 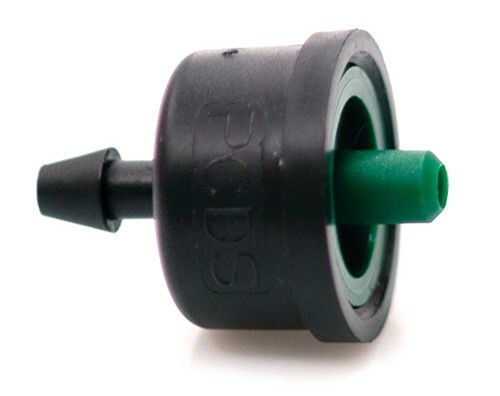 With minimal risk of clogging, the iDrop drippers cannot be dismantled, and require no maintenance.